Election violence is directly related to some politicians' willful instinct to prevail at all costs---with massive vote-buying among poor sectors. They recoup "investments" by monkeying with PW funds to ensure dynastic rule. When dynasty is threatened, that's when violence erupts. How to break this evil? Rescue masses from abject poverty by revving up the economy and educate them, so they become independent of pols. Since the heinous slaying of Bicol Ako party-list Rep. Rodel Batocabe by still unidentified assailants, his widow, Gertrudes Duran Batocabe, has won a lot of sympathy and admiration for her courageous and dignified response to this tragedy. 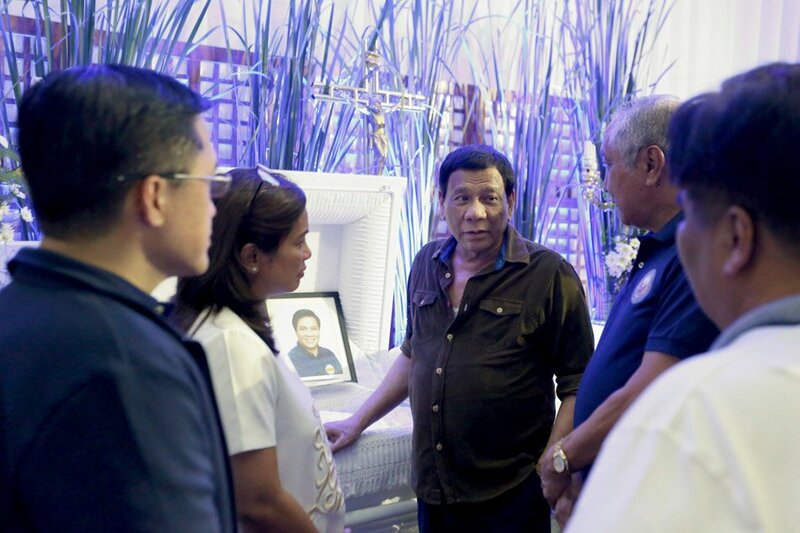 During President Duterte's visit to Daraga City to condole with the congressman's family, Mrs. Batocabe, a member of the prominent Duran family in Bicol, sought justice for her slain husband from the Chief Executive. That the criminals who killed the respected law-maker ought to be caught and punished is the least that the administration could do for his family. To Mr. Duterte's invitation that she run in her slain husband's place in the May 2019 elections, she replied candidly that right now her focus is "to bury him with dignity and honor, in accordance with how he lived." After this, said the widow, she will seek justice for him---that those responsible be brought to court and punished. With the slaying of Rep. Batocabe, the threat of political violence across the country rears its ugly head anew as the May 2019 mid-term elections approach. Mr. Duterte contributed P20 million to the financial reward offered by Rep. Batocabe's party-list colleagues to anyone who could provide clear leads to his slaying. Reward money to identify the killers now stands at P50 million, and perhaps it would bring results, but election violence remains in the political scene every campaign season---unless certain factors are checked and eliminated from our midst. Political rivalry exists in every setting all over the world, even in the politically and economically advanced countries such as the US, but in less developed political settings such as ours, it's accompanied frequently by violence. The slaying of Rep. Batocabe in so brazen a manner in Daraga, however, speaks of grievously degenerated standards in our very Third World political setting. Facts about his slaying are not all in yet, as PNP investigation is still going on, but it is easy to see that in our milieu many politicians feel they stand to gain so much in office, that they are ready to eliminate rivals by means fair or foul. While there are few exceptions, it's obvious that political contests in this country have become so expensive for the candidates---this is because it's almost impossible for politicos not to resort to buying votes at exorbitant costs, to win. Citizens, on the other hand, often sell their votes to the highest bidder because many of them have remained very poor, and election time is seen as their opportunity to gain some fast bucks with their votes. I dare say that with few exceptions, our citizens look at the elections as opportunity to get their revenge on neglectful and abusive politicians---by exacting their pound of flesh through their votes. 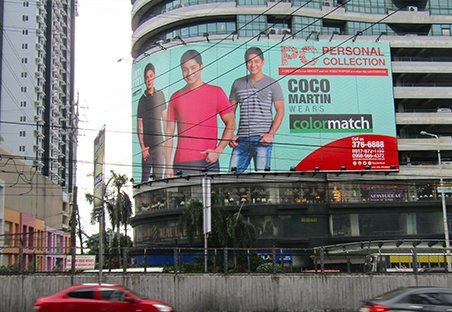 Politicians doubtless realize the truism that elections are revenge time for the voters, so the pols have to buy votes---and it could run into hundreds of millions of pesos or even billions in some cases for the politicians, if, for instance. they have to ask a rival to withdraw. Lots of votes are for sale and voters are not coy about it---in fact they feel a strong sense of entitlement about it. This is their revenge every election time on politicos who have paid only token care for their welfare. This realization that the electorate would extract its pound of flesh from the politicians has made the latter, with some exceptions, utilize their pork barrel funds---formally termed years back the Countrywide Development Fund and later the notorious Priority Development Assistance Fund (PDAF)---in all manner of wheeling-dealing with contractors of public works projects or with insidious characters like Janet Napoles, to raise funds to buy votes. Note Sen. Panfilo Lacson's loud complaint about how House solons are still trying to insert pork items into the 2019 budget despite its passage on second amendment already, when no insertions should anymore be tolerated. That's obviously desperation on the part of those running this May 2019. Another way to win is to eliminate political rivals, which may have been the case with the late Rep. Batocabe---though this has enraged the Bicolanos so much that it could boomerang on the perpetrators. His slaying can be explained thus: over the years Filipino voters, by and large, have come to expect grease money during elections---which is why politicians have to be creative in their staying power. Corruption rears its ugly head in various ways and perhaps those candidates perceived to be uncorrupt, like the slain Bicol party-list solon, have to be yanked out of the race by hook or by crook. This is also why political dynasties seek to survive: the palm-greasing practices exacted from the pols by the largely impoverished voters continue unabated, so that political power has to be preserved within the family over generations---by hook or by crook---to recover its investment. To be sure, political dynasties also exist in the more advanced countries. In the US, the Kennedys, the Bushes, the Rockefellers and the Daleys of Chicago, among others, are normally mentioned in dynastic terms, but it is not the same as here. The American public---and the US media---are generally unforgiving of political abuses, and public opinion there is mighty strong, unlike here where it often fails to rightly condemn. 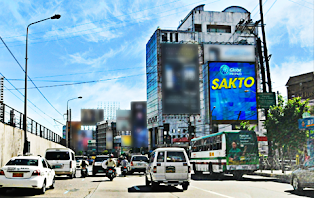 The Center for People Empowerment and Governance (CENPEG), headed by my good friend Prof. Bobby Tuason, estimates that more than 17,000 national and local positions, including all 265 seats in the House of Representatives and half of the the 24 seats in the Senate, are at stake in the May 2019 national and local polls. CENPEG also estimates that there are about 250 political families---at least one in every province---in the entire country, and of the 265 House members, 160 belong to such clans. CENPEG regards political dynasties as a consequence of our country's colonial days, in which an elite class was nurtured by the Spaniards and later by the Americans. Even after our country gained independence in 1946, the largely feudal system persisted, as landed families sought to protect their interest by occupying public office. Unfortunately, then as now, their constituents on the ground---unlike those of the more politically developed countries---have remained largely poor and uneducated, thus pretty much at the mercy of the politicians. No way to change our country except through education, which should also rescue the poor from numbing poverty. 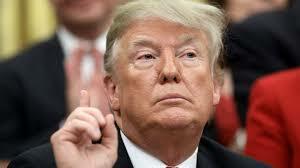 It would seem from many recent developments that 72-year old Republican US President Donald John Trump---the 45th in US history---is lurching from one crisis to another, and that halfway through his term, he seems to be marching inexorably toward impeachment in the US House of Representatives that's dominated by Democrats. 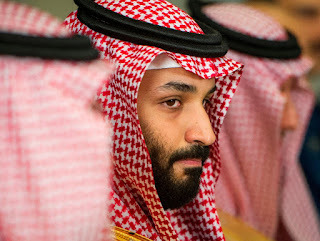 Now, as to whether he would be convicted by the US Senate, which is still dominated by Republicans, although by a very slim majority only, it remains to be seen. As things are developing, it's entirely possible that a number of Trump's Republican allies could turn around and join the seeming impeachment bandwagon. Not since the ill-starred presidency of Richard Nixon three decades ago has a US President been impeached. Crisis after crisis has hit the Trump administration as no other US presidency has been in contemporary times. For one, CNN has been merciless in slamming him. 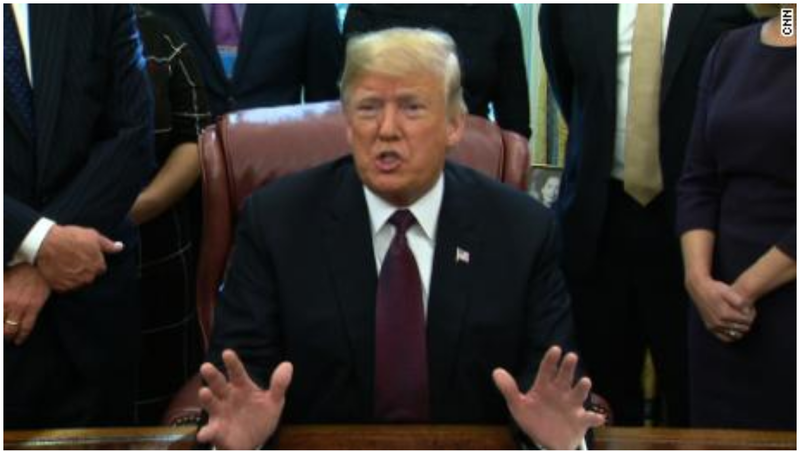 First there was the sudden decision of Mr. Trump to order the withdrawal of US troops from Afghanistan and Syria---against the advice of his military hierarchy. This decision of Trump provoked Defense Secretary James Mattis, said to be highly respected and a "stabilizing influence" within the Trump administration, to resign. Mattis' exit was deemed by political pundits a major---perhaps even irreparable--blow to the administration. In weeks prior, President Trump had fired Attorney General Jeff Sessions and White House Chief of Staff John Kelly after they "lost his confidence." But when Defense Chief Mattis handed in his resignation last Thursday, Dec. 20, following his disagreement with the Chief Executive over the latter's decision to pull out US troops from Afghanistan, that shook the establishment to its roots. As a news account termed it, the day "was a landmark day of chaos that appeared to test the resolve of even his senior Republican backers in Washington." The sudden resignation of the Defense Chief drew negative reactions from various leaders, among them Mr. Trump's close ally and frequent golfing partner, veteran Republican Senator Lindsey Graham. Praising the decision of Defense Secretary Mattis to resign, Graham warned that withdrawing the troops from Afghanistan---which had earlier been thumbed down by the military establishment in conferences with the President as "high risk strategy"---could ultimately lead to another attack on America, just like 9/11. On the other hand, Senate Majority Leader Mitch McConnell issued a statement following Mattis' resignation, expressing grave concern about the latter's sharp differences with the President that affect "key aspects of America's global leadership." Adding to these concerns of major presidential allies of President Trump in Congress are other issues that would produce vast swathes of discontent among the American people themselves. For instance, there's the insistence of Trump to erect a wall along the Mexican border to prevent further illegal migrations of the "Chicanos" to the US. That issue triggered a looming government shutdown due to the disputes over the border wall's huge funding---in turn sending US share prices tumbling over this prospect. I can imagine the vast number of Mexican-Americans hating the idea of this wall and how it would impact the next elections for the Republicans. Then there's the continuing investigations into allegations of the Trump campaign's collusion with Russia against his Democratic rival Hillary Clinton,as well as congressional probes into his businesses, his family and some of his Cabinet members. The former Secretary of State in the Obama administration, Hillary Clinton, who would have made a far better president, won the popular vote but most unfortunately lost the electoral votes to Trump. From where I stand, it's easy to see that President Trump's major difficulty vis-a-vis his political and administration allies stems mainly from the fact that he has never held an elective office before. Instead he has been phenomenally successful as a real estate developer and businessman on a huge scale (e.g. the Trump Tower and the Grand Hyatt New York Hotel, among others) and as a reality TV personality. Hence, Mr. Trump doesn't know how to handle the bureaucracy or work with subordinates not in his payroll. As multi-billionaire boss in the private sector, Trump hired and fired at will and to his heart's content, but obviously he couldn't learn fast how to work with co-bureaucrats with long distinguished records in public service, and within a system of governance. But more alarming than anything else, the world balance of power is in the hands of this temperamental character. Prospects of a Trump impeachment bears watching in coming weeks as the Democrats could eventually gain allies in Congress among disgruntled and/or alarmed Republicans. This blogger joins the nation in decrying in the strongest terms the dastardly murder of Bicol Ako party-list Representative Rodel Batocabe the other day. The 52-year old party-list congressman was a distinguished graduate of the UP College of Law, along with the likes of former presidential spokesperson Harry Roque. Colleagues from the House that I talked to spoke highly of Rep. Batocabe, and his conscientious dedication to his job and his constituents. "If you meet him in the corridors in the Batasan," says former Deputy Speaker Raul Daza, "It's likely that he's rushing to a committee hearing." As a three-term party-list representative, Rodel Batocabe was already ineligible for reelection and reports say he was planning to run for mayor of his native Daraga. In the three-cornered fight for the mayoralty in that city, Rodel was the only true native of Daraga, and his opponents would have been the incumbent LP mayor and the current vice-mayor who's said to be backed up by Rep. Joey Salceda. 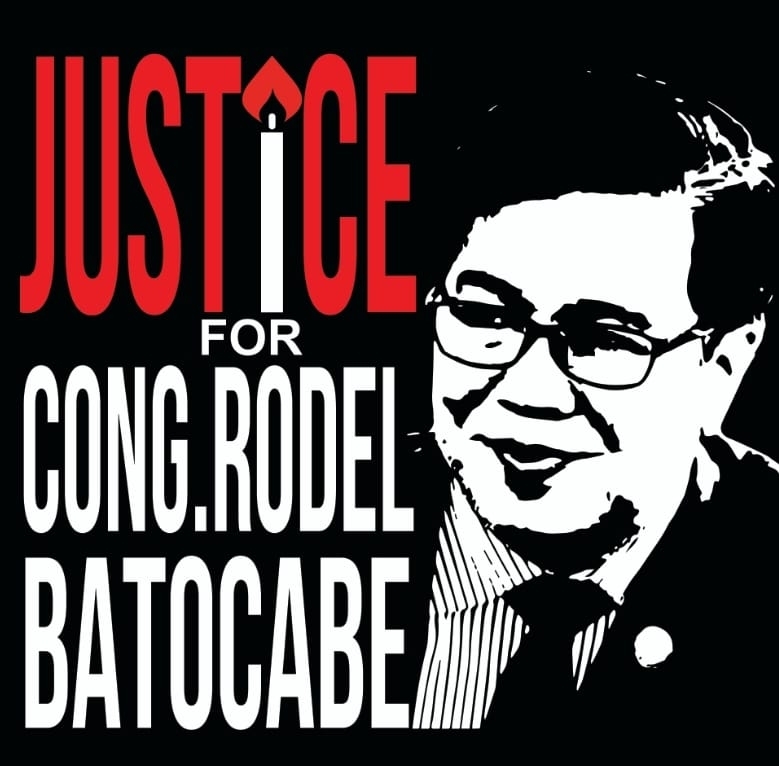 Rodel Batocabe, considered a friend to all, was estimated to be the front-runner in the mayoralty race. As such he could have been in the line of fire. 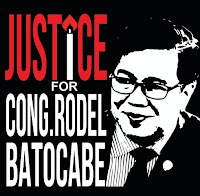 The Duterte administration has to find the killers of Rep. Batocabe, if only out of justice to his constituents and because of their deep affection for him. Stunning acquittal of ex-Sen. Bong Revilla---a majority decision of Sandiganbayan's five-member special division, from which the nation may not recover in a long while. As the saying goes, something's rotten and it's not in Denmark. Last Dec. 7 was a particularly bloody Friday for the Filipino people, as the majority decision of the special division of the Sandiganbayan condemned PDAF queen Janet Lim Napoles and lawyer Richard Cambe, former Sen. Bong Revilla's staffer, for plunder, with the punishment of reclusion perpetua---virtual imprisonment for life---for having absconded with Revilla's PDAF funds during his incumbency. Under Article 100 of the Revised Penal Code, the two convicted people are "solidarily and jointly liable to return to the National Treasury the amount of P124,500,000.00," but the damning part is that this 5-member special division of the anti-graft court EXONERATED the former senator himself ---Cambe's boss---from the same plunder charge. 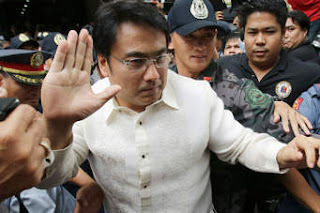 Concluded this special Sandiganbayan division in a 186-page decision with a 3-2 vote for Revilla's acquittal: "For failure of the prosecution to establish beyond reasonable doubt that accused Ramon "Bong" Revilla, Jr., received directly or indirectly the rebates, commission and kickbacks from his PDAF, the court cannot hold him liable for the crime of plunder. Accordingly, he is acquitted." The special Sandigan division's decision to convict Cambe and Napoles while absolving former Sen. Revilla has rocked the nation in utter disbelief. If a poll were taken on that very day, it would have clearly shown that no one would ever believe that Revilla's legal staffer Cambe and business-woman Janet Napoles could just siphon off all those many millions in pork barrel funds of Revilla, to form part of the P10 billion pork barrrel scam of Napoles to which various legislators' Priority Development Assistance Fund (PDAF) were funneled---without the boss' participation in that scam. This is because this PDAF scam would readily beg the question about Cambe: WHO HE? Why would Napoles deal with Cambe when he was just a key staffer in Revilla's office. Could he really have been so free to finagle with that gargatuan PDAF amount of his boss---without Revilla's order? This case of the Sandiganbayan vs. Revilla is most interesting on a number of counts. One, originally the three members of the graft court's First Division---chaired by Justice Efren de la Cruz with Justices Geraldine Faith Econg and Edgardo Caldona as members---took a vote on the case of the Cambe/Napoles. Chair De la Cruz voted to convict Revilla of plunder, whereas Econg and Caldona voted to acquit him even as they also voted to convict Cambe and Napoles of plunder. The ruling of the Sandiganbayan, however, is that there must be a clear UNANIMOUS decision in a given division, but in the 2 vs. 1 ruling of the First Division on Revilla's conviction, this was absent. Hence, the division was reconstituted to include two more members recruited from another Sandiganbayan division: namely, Associate Justices Dolores Gomez Estoesta and Georgina Hidalgo. What was called for in the expanded Special Division of 5 members is a simple majority vote, and in its final 3-2 vote three justices voted to EXONERATE REVILLA BUT CONVICT his key staffer Cambe and PDAF queen Janet Napoles. The three justices who exonerated Revilla and doomed Cambe and Napoles were Justices Econg who penned the ponencia, Caldona and Hidalgo. Two other division members voted to convict Revilla---namely, presiding Justice De la Cruz and Justice Estoeste. This is why former Sen. Bong Revilla is for the moment a free man---ending four years of prison confinement in Camp Crame. I don't see this, though, as a closed case, as the Supreme Court will undoubtedly weigh in on such a grievous matter. All the members of the new First Division had strong arguments, but by far the strongest belonged to Justice Estoeste (a woman, and women generally and arguably have stronger convictions especially about issues that affect the nation's welfare). Joining Justice de la Cruz in accusing Revilla of the crime, Justice Estoeste stressed, "The avalanche of an acquittal will soon fall, but let it not resound without the few words that hope to pierce then what is about to come." Continued Estoeste: "\This consequential ruin runs deep, and may eventually free a man once accused of having conspired in raiding the public treasury of hundreds of millions. His imminent freedom has dismally thrown away all evidence that once forbade of repelling the scathing tale that never before of such magnitude has been told." There is a feeling among some lawyers and judges that the recantation of the former staffers of Janet Napoles of their testimonies against their former boss, namely Benhur Luy, Marina Sula, Merlina Suñas and Mary Anne Baltazar, has considerably weakened the case for the prosecution. But to Justice Estoeste, this is not so, for as she put it, "The whistle-blowers' revelation of the PDAF scandal is the Pandora's box that takes it all." New First Division chair De la Cruz argued that fundamental to a crucial case is that the accused is entitled to an acquittal unless his guilt is shown beyond reasonable doubt. He stressed, however, that indicating proof beyond reasonable doubt does not mean such degree of proof as, excluding possibility of error, produces absolute certainty. What's only required, De la Cruz argued, is moral certainty---or "that degree of proof which produces conviction in an unprejudiced mind." Justice De la Cruz argued that parenthetically, direct evidence is not a condition sine qua non, to prove guilt beyond reasonable doubt. For in the absence of direct evidence, the prosecution may resort to adducing circumstantial evidence to discharge its burden. In the case of the alleged absconding by Revilla's lawyer, Richard Cambe, of many millions of his boss' PDAF---depositing it with Janet Napoles, c/o Benhur Luy, in return for generous interest on Cambe's "deposits"---what should have been fatal to the boss himself is the evidence on hand. These are the countless deposits in large amounts made ALMOST DAILY, as testified by bank tellers, which obviously came from kickbacks from Janet Napoles, with matching dates to boot. As the Sandiganbayan justices query: how could this have been done by lawyer Cambe with such regularity---without the knowledge and approval of the big boss himself? This is a grand modus operandi that would be hard to match in future years, but the victim here is not just the justice system that was screwed up. IT'S THE FILIPINO PEOPLE. Something really stinks and it's not in Denmark. In justifiable anger and desperation, President mulls putting Customs under military/police control, to halt drug smuggling. Constitution, however, specifies conditions for military involvement. Besides, long years of military/police camaraderie in their respective academies could worsen collusions in Customs. The Bureau of Customs has never been an easy place to work in, as two previous appointees of President Duterte in his three years in office---both of them former military officers-- have found out. Let's hope his third military appointee, former AFP Chief of Staff Leonardo "Jagger" Guerrero, PMA Class '84, would have better luck as Customs Chief. The first military to head Customs under Duterte was former Marine colonel Nicanor Faeldon, who ran into controversy soon enough over a drug shipment worth P6.4 billion last May 2017. Faeldon was replaced by former PNP Chief Isidro Lapeña who just lost his job two weeks ago---amid swirling controversy over the brazen smuggling of an estimated 1.6 tons of shabu from the Port of Manila last July, but which was discovered only last August 8. The huge drug haul, valued at a whopping P11 billion, had arrived in July and scooted out of Customs to an unknown destination, by Chinese individuals riding in two Mercedes Benz limousines. The haul was estimated to have taken four days' work to siphon off from the four magnetic lifters, and in August the lifters were found abandoned in Cavite, totally empty of their contents. Lucky for Lapeña that he was merely kicked into the Cabinet, to head TESDA---a most controversial move by the President. Ma. Lourdes Mangaoang, deputy collector of customs and the celebrated whistle-blower of the 1.6 ton-shabu smuggling, estimated at the dzRH Sunday program that Cecile Alvarez and I recently conducted, that this staggering amount of shabu could produce 1,600,000 sachets. It boggles the mind just how many of our youth would be damaged by this incredible amount of shabu smuggled out of the Manila International Container Terminal (MICT)! At the height of the killings of so-called drug pushers and users last year and earlier this year, many alarmed citizens had wondered why the resort to outright slayings under "Operation Tokhang"---WHEN OBVIOUSLY THE MORE IMPERATIVE MOVE WAS TO SHUT THE INTERMINABLE FAUCET OF DRUGS. Where are the drugs coming from and who's smuggling them into the country? Why are they so accessible even to small-time peddlers, seemingly as easy as peddling cigarettes? Who's distributing them? Questions swirled about but remained unanswered---until the brazen smuggling of the 1.6 tons of shabu at the MICT last August. That was the height! Earlier answers came in May last year, when information came from the Philippine Drug Enforcement Agency (PDEA) about a large smuggling being awaited. Two magnetic lifters (used to lift cars and other metal cargo at the pier) which went missing at the MICT were found a month later---already emptied of the 355 kilos of shabu they had contained, worth around P6.4 billion! With this initial success the smugglers were emboldened! Last May 2018 PDEA received information about drugs coming from Malaysia, Vietnam and Hongkong. Bingo! This time 1,600 kilos worth P11 billion were spirited out of Customs in four magnetic lifters similar to the two missing at the MICT last year. The high-valued cargo, stashed neatly in asbestos heat and fire-resistant bags inside the four magnetic lifters and consigned to a certain company, were moved out of the terminal on a Saturday last June, when only one X-ray inspector was around. It only involved four hours of work by four Chinese nationals who then scooted away in two Mercedes Benzes. The four magnetic lifters were later found abandoned in Cavite, with their high-priced cargo already siphoned off. Lourdes Mangoaong's trained dog-sniffers were right on target. With the huge uproar kicked up by this brazen smuggling of the 1,600 kilos of shabu, the President recently announced his decision to place the entire Bureau of Customs---the second largest finance-generating agency of government next to the BIR itself---under military control. Predictably it reaped a storm of controversy. In his memo earlier this week Mr. Duterte ordered all BOC employees to report to Malacanang as he simultaneously ordered various military branches, such as the Coast Guard, Navy and Army to gather together technical groups and prepare them to take over the operations of the BOC. But as Sen. Francis Escudero rightly pointed out, there could be a problem in calling out the Armed Forces to handle the smuggling in Customs. This is because the Constitution, under Sec. 18 of Art. VII, "The Executive Department," specifically provided that the President, as Commander-in-Chief of the armed forces of the Philippines and whenever it becomes necessary, "may call out such armed forces to prevent or suppress lawless violence, invasion or rebellion." And even then, there is a proscribed period not exceeding 60 days during which "he may suspend the privilege of the writ of habeas corpus or place the Philippines or any part thereof under martial law." I imagine that if the smuggling of deadly drugs at Customs cannot be abated---and the smugglers become so brazen, Mr. Duterte might just invoke some special powers to handle this problem. Let's hope it doesn't have to invoke situations that could just complicate the situation even more. Just to play safe, the President also altered the rules for cargo release: THREE SIGNATURES of military officials who are taking over the Customs are now required for the release of any goods from the port. All these moves, however, are making the senators and representatives as well as the public nervous---as any effort that seem to "militarize" government would always provoke nervousness and challenge certain constitutional provisions. Already, Sen. Richard Gordon has vowed to scrutinize this decision of the President in a Senate hearing next week. I, for one, would think that there could be basis to be nervous about "militarizing" control of Customs. For instance, military men in general would tend to act as one---doubtless out of long years of training and camaraderie together at the Philippine Military Academy as well as in the various service academies such as those of the coast guard and police. There is justified apprehension, I would think, that when the coast would appear to be "clear" or other elements of society would relax their vigilance, there could be some military elements more adventurous than others, who could be tempted to throw scrupulosity to the winds and make unlawful moves for the fund of it. The check-and-balance system could cease to operate when camaraderie of long years is extra-thick and the emboldened smuggling of P11 billion worth of shabu at the Port of Manila becomes just a distant memory. What happened at Customs recently was a series of fearless moves by unscrupulous elements who obviously have maintained a strong hold over the port. The President---by now VERY VEXED at how the smugglers have run rings around him---has felt that the best solution at the moment is to entrust Customs operations to the military. TO MILITARIZE CUSTOMS. But what else could be done at the moment? Let's give some space to the military units that will man Customs in place of corrupted or mindless civilian bureaucrats---in the hope that some idealism bred in PMA or other military schools are still left in their hearts. We citizens, however, should also get involved in policing the military's activities---and those guilty ought to be punished post-haste. Scanning face of PH poverty at our dzRH program, Fr. Nebres S.J. cited studies opining that English-speaking upper-crust Pinoys can relate more to CNN stories about US hurricanes than to Ompong's fury. A palpable disconnect among our people. Yesterday, Sunday, Oct. 14, RM Awardee for Theater Cecile Guidote Alvarez and I interviewed Fr. Bienvenido Nebres, S.J., a Ph.D in Mathematics from Stanford University, former Jesuit Superior in the Philippines (1983-1989) and President of the Ateneo de Manila University (1993-2011), on the deepening poverty in our country. Initial discussion of this topic came a week earlier, during the observance of the first death anniversary of former Jesuit Superior Romeo J. Intengan at the Jesuits' Sacred Heart Novitiate in Novaliches. Over lunch, Fr. Nebres observed that poverty is most prevalent in class D with its whopping 60% of Filipinos and class E at 30% , whereas wealthier classes A, B and C constitute only 10%. 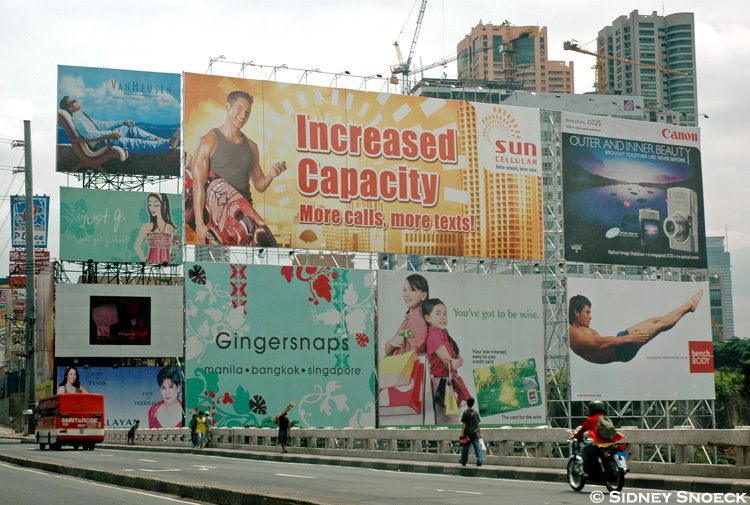 News headlines back up these statistics, with Inquirer asserting that "Majority of Pinoys say they are poor." 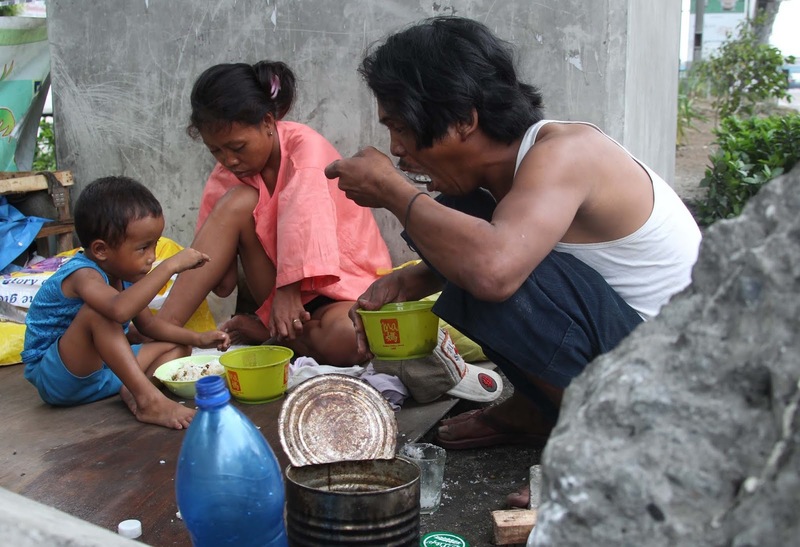 PDI columnist Mahar Mangahas also cited that the SWS survey showed that from a low 42 % declared poor in March 2018, the percentage of Self-Rated Poverty rose in the third quarter 2018 to 52%, or 12.2 MILLION FAMILIES FEELING POOR (emphasis BOC's)." As Mahar points out, that's 12.2 million families feeling poor out of a projected base of 23.3 million families in the Philippines---a heck of a lot of poor families. On the other hand, the impact of inflation, aggravated by the sharp rise in fuel costs, is now affecting even middle-class Filipinos, forcing government to recently suspend the excise tax on fuel. I invited Fr. Nebres to continue our discussion on poverty in yesterday's episode of our weekly Sunday 6 pm. "Radyo Balintataw" program over nationwide dzRH---in order to help raise our people's consciousness about it. At the Jesuit Residence in the Ateneo Fr. Nebres showed us a short video film by Kara David about the family of a fisherman in Mercedes, a poor fishing town in Camarines Norte. It showed a mother feeding her three children with bits of fish and shellfish distributed over three meals per day, as they awaited the father who had gone fishing for a few days. He had left his wife 40 pesos for the family's subsistence over the next days. It was a heart-wrenching film showing children crying for more food amid the helplessness of the mother. As Fr. Nebres pointed out, that's a typical situation in that small fishing village, as poverty is most severe among fishing communities throughout our archipelago. Climate change as well as the destruction of coral reefs have severely affected fish catch, forcing fishermen to venture farther and farther from the shores---and leaving their families in near-starvation. . I shall show this particular film in my FB page after I share our interview with Fr. Nebres. Prepare to be perturbed. As Fr. Nebres explained, from 1995 to 2015 poverty was very much the center-point of the Millenium Development Goals, aiming to reduce extreme poverty and hunger in 1995 to only 26% by 2016. Data comparing us with our neighbors in SEA, however, show PH clearly lagging behind. Indonesia's poverty level is now below 10%, Once war-torn Vietnam's level used to be at 50% in 1995; now it's below 15%, while Laos is on track, according to the UN. Here at home Eastern Visayas is among the poorest, and while the whole Mindanao has lagged behind, it's the ARMM that's worst hit, undoubtedly also owing to the political instability in past years. Zeroing in on the school population across the country, Fr. Nebres cited the verdict of teachers all over---many children are going hungry, some worse than others. In nearby Parañaque, students said they take turns eating in their families; in Valenzuela, Bulacan, there are students who felt satiated ("nabusog") for the first time in their lives when the feeding program began there. After Yolanda struck Eastern Visayas, Gawad Kalinga's Tony Meloto wanted to put up housing units there, but folks argued that by the time those units are finished, "baka patay na kami." It's the hunger stalking innumerable places in the country that appears to be the primary problem---not just malnutrition but hunger itself. Gawad Kalinga (GK) responded with what it has, in the Yolanda-stricken areas as well as in Mindanao, such as Basilan and Tawi-Tawi where some 5,000 schoolchildren are fed everyday---just part of the estimated 100,000 being fed by GK all over the country daily. Some tycoons are helping to address the severe malnutrition. Other countries have also come in to help GK: in Bgy. Holy Spirit in Metro Manila, a group from the United Kingdom is helping out. The Ateneo set up its Center for Education and Development which delves not only in brain development but also in problems of hunger, health and extreme poverty, such as in Payatas. Fr. Nebres spoke about the importance of nutrition getting to the impoverished mothers during the FIRST 1000 DAYS OF PREGNANCY onward to about 2 years of the child---so as to prevent growth-stunting and brain damage. To him, the problem is multi-faceted and the components cannot be separated: malnutrition arising from poverty that affects the child in its first 1000 days will haunt it all through its life. 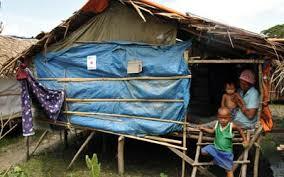 WHO statistics bear out the stunted growth of Filipino children. What heartens Nebres nowadays is the growing involvement of local and provincial officials with these very real problems of their constituents from the poorest sectors. He cites Valenzuela in Bulacan under Rex Gatchalian which is feeding 16,000-18,000 poor children, constituting 13-15% of the population. There's Compostela Valley in Mindanao under Gov. Tyrone Uy, where feeding kitchens have been set up. In the ARMM area there's Gov. Mujahiv Hataman while in Nueva Ecija, Dep-Ed officials are in the forefront of combating hunger and malnutrition. There's also the "Pagkaing Pinoy Para sa Pinoy," a program filed by Sen. Bam Aquino and supported by fellow senators Grace Poe, Gatchalian and Chiz Escudero, that has allotted P3B in funds for day-care centers. In the House, Rep. Raul del Mar of Cebu supports the counterpart program. Appeals are being made to the private sector to join the campaign to eradicate hunger and malnutrition especially in poorer Pinoy children's first 1000 days of existence, as this has a direct bearing on their brain function and stunted growth. There is, however, some indifference among the private sector---social classes ABC--- toward recognizing and acting on this problem. Fr. Nebres cites an interesting theory about this disconnect of the upper classes with the problems of the broad masses. As an educator from the UK pointed out, it may be because the Filipino upper classes, especially the younger generations, speak in English and not in the national language, Pilipino, and the local dialects. In contrast, he notes that in Indonesia there is only one language, Bahasa, the medium of instruction as well as the language of various tools of communication and culture such as newspapers, TV and radio. 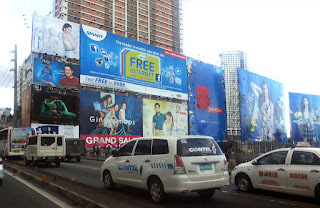 Thus, as a result of this linguistic disconnect, many upper-class Filipinos tune in more often to CNN than to local stations---so that they are more familiar with the terrible effects of the hurricanes in the US rather than the typhoons in Eastern Visayas and Northern Luzon. There is indeed real basis to be troubled by this reality-disconnect, and I for one plead guilty. I raised my children in English as I thought this would facilitate their entry into the world of education, business and commerce, and now they, in turn, raise their offsprings also in English. Thus is the great divide among our people.